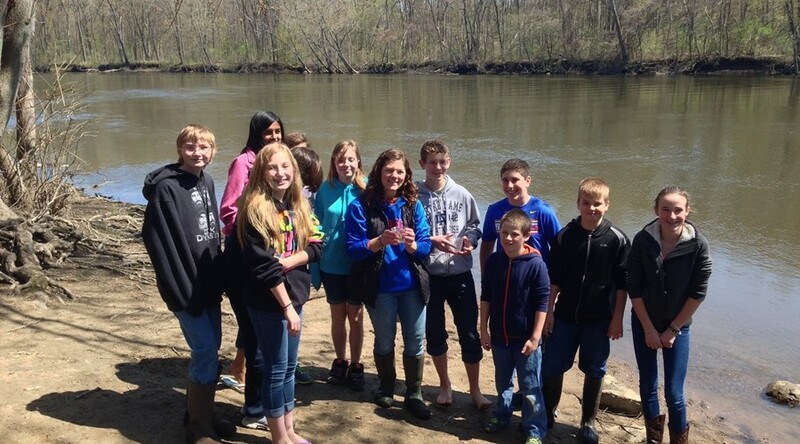 Melissa Cieniuch's 7th grade science class nurtured about three dozen Chinook salmon from eggs to 5-inches in size, and released them below Berrien Springs dam May 10, 2014. The Indiana and Michigan DNR aren’t the only ones stocking fish in the St. Joseph River. Count Melissa Cieniuch’s Edwardsburg 7th grade Science Class among the contributors. As part of a structured educational experience, the class nurtured about three dozen chinook salmon from the egg stage to 5-inch fish last winter and released them into the St. Joe below Berrien Springs dam Saturday. The classroom was one of about 200 participating in Michigan DNR’s “Salmon in the Classroom” program whereby students raise young salmon from eggs while studying the role the fish play in Great Lakes ecology. Cieniuch, who had worked with the DNR in previous summers, learned of the program while working part-time at the Wolf Lake Fish Hatchery last summer. She thought it would make a great science class project. 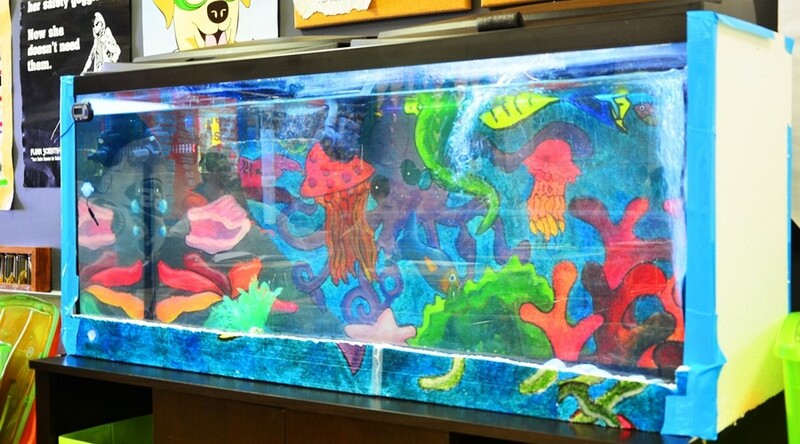 “We needed about $1,500 f or special equipment to raise the fish, so I applied f or educational grants through the Edwardsburg Public Schools Foundation and Project Learning Tree and got what I needed,” she said. The equipment included a large aquarium, aerator and a chiller system to keep the water at a cool temperature required for the salmon to survive. 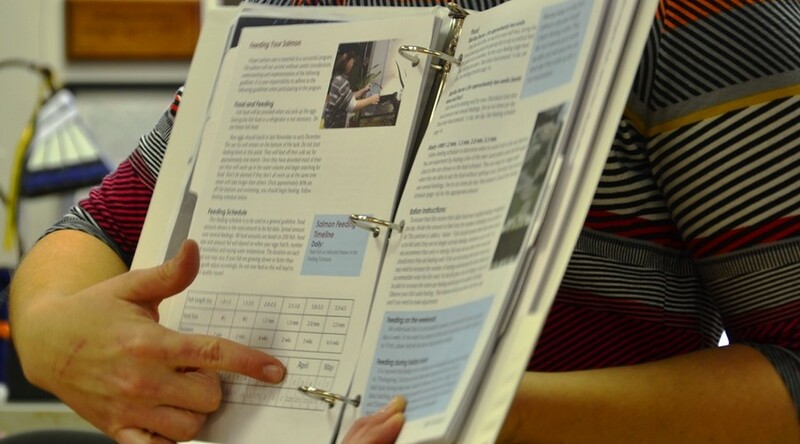 She attended a day-long, in-service class to learn how to handle and care f or the eggs and get them to develop into fish. On Nov. 7, the class received 200 salmon eggs f rom the DNR. “The kids were glued to the aquarium watching f or any development,” she said. “In about four weeks the fish started hatching and we had them swimming around by Thanksgiving.” Meanwhile, Cieniuch spent study hours teaching the students how to manage healthy salmon and why non-native fish are stocked in the river and lake. “Salmon were planted years ago to eat non-native species like alewives and have since provided an excellent sport fishing opportunity,” she said. All did not go well at first. Only about 100 of the eggs hatched, and those that did started dying. “We really began to worry, and I began contacting other teachers in the program and found out many were experiencing the same thing,” the teacher said. “It apparently was a bad year for fish eggs because the adults from which the eggs were taken didn’t have a healthy diet the summer before.” By January, only five classroom fish were left, so the Michigan DNR anteed up 50 more. “We only lost a few of those the past two weeks but the fish are starting to nip at each other during the evenings when we aren’t here,” Cieniuch said. “We were still feeding them, but the fish wanted more and were starting to cannibalize each other.” Again, Cieniuch used it as a teaching moment. “I explained to the kids that fish eating fish were part of the circle of life and what they were witnessing was what happens in the wild,” she said. “But I knew we had to get those fish in the river real soon.” So Saturday, children and their parents were invited to the river’s edge where students would acclimate the young salmon to river water before releasing them. “It was a great program and teaching tool, and now that we have the equipment we need, I plan to continue it with future classes,” she said. 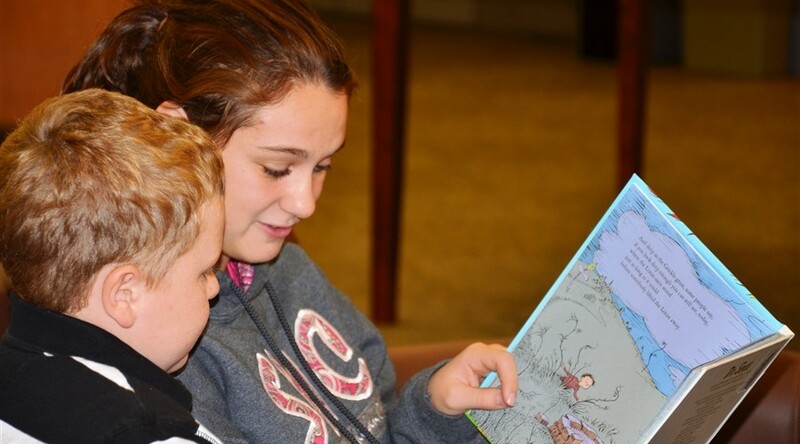 The foundation provided funding support in the 2013-2014 school year for approximately 45 Edwardsburg Middle School students to receive peer support through the LINKS Club. The club is geared to students with Autism Spectrum Disorder (ASD) and meets monthly to work on social skills. The peers also become advocates for ASD students as they navigate through the middle school. The club is part of a project through Grand Valley State University that emphasizes development of a statewide collaborative by forming district teams that work together to support ASD students. 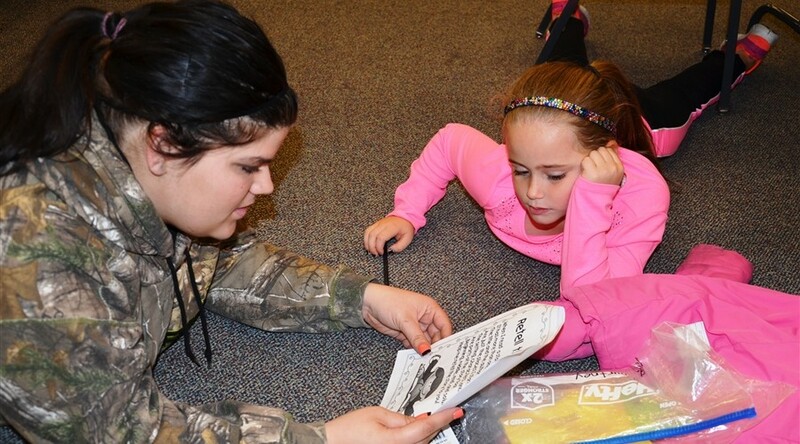 Monthly meetings involve students in arts and crafts, gymnastics, and outside trips. 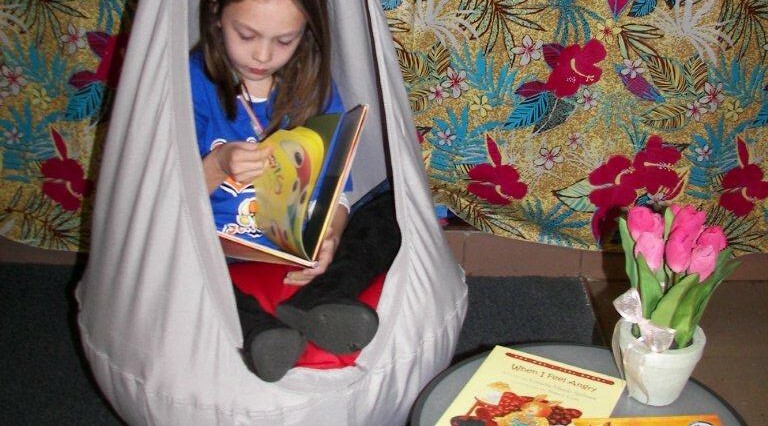 Funding was provided for purchase of a snuggle swing, a platform swing, balance pods and a balance beam to support and enhance the educational experiences of students in the Sensory Room. The long term goal of the project is to offer an academic experience that is considerate of the individualized sensory needs of the student population. The room benefits those impacted with attention deficit disorder, autism, and sensory integration disorders. 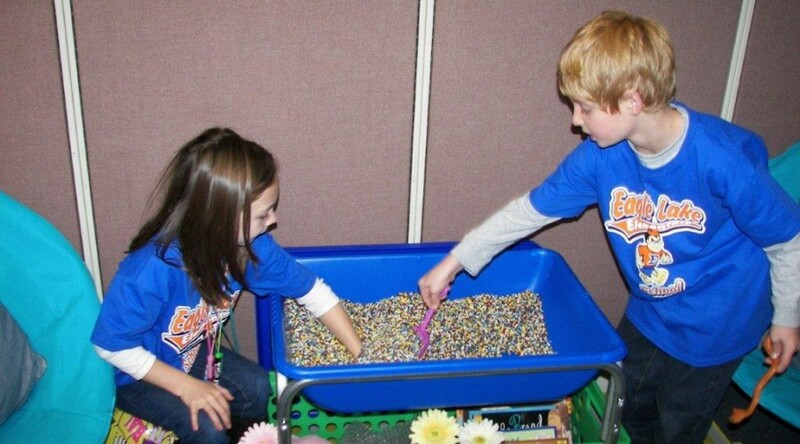 Eagle Lake Sensory Room photos. 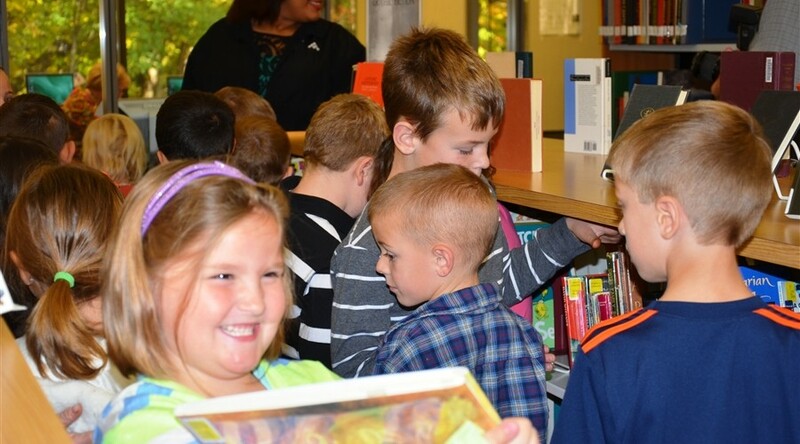 Each first grader at the Edwardsburg Primary School received a white pine sapling, the Michigan State tree, as a result of funding by the foundation. Students were given instructions on how to take home, plant, protect, and care of the tree, which grows about two to three feet per year.